It is the African in them that just won’t respect time. My mom is worse. Plus she has a lot of time and is prepared to call till your phone drops dead. I sighed. And looked around my eerily quiet apartment. From my stance, I could see the skies. And the sun isn’t getting up yet. I could hear some cars intermittently on the road. But still, it felt quiet and lonely. I sipped my tea thoughtfully as I contemplated getting a dog. They are very loyal, at least. Nah I decided against it. I am not ready for that kind of commitment. Talking about men, I still have a bad taste from the last. And bad taste doesn’t go easy. So in this phase of self-healing, I am apt to stick to the bland taste of single-hood. Hahaha! I love my poetic argument, I should say this to my mom when next she brings this up. Is it that women don’t want men? Nah. Women want men. Some women just want a specific kind of man. And women with options are even more specific. Good looks are great. Money is OK. Humor? Religion. Name it that list for some is endless. However, for some, it’s those things that money can’t buy. Like character. Empathy. Commitment to self-development and willingness to admit to fault. And don’t forget honesty! It’s 6 am now and I am resolved in my decision. This is not checking off another item on my list. This is about the building of a quality life (together). I remember Mafoluku and the images of marriages that surrounded my childhood. Of couples who barely talk. Of women who rarely saw their husbands, except when it was time for the children. Most people, in fact, stayed together for the kids. And the kids? They were miserable. Of women who comforted themselves with the knowledge that their husbands loved them enough for two. Of couples who were mutually exclusive and were satisfied with taking from the other without giving anything back in return. And my parents who gave too much and still didn’t give enough. It is human to focus on quantities, not necessarily the quality of life. And I still see it here and out of Mafoluku. Of stark realities conveniently dressed in fabrics of impressions. Impressions and the momentary proclamations of see, I too have done this. But for me – this yardstick is not enough. I don’t want what most people have. I want what most people want and dream of… That is my reality, the one I am willing to check. It’s 6:30 am. Time for a shower…. The firebrand is back! Often looked forward to this period where your enticing quality literature is shared with the world. 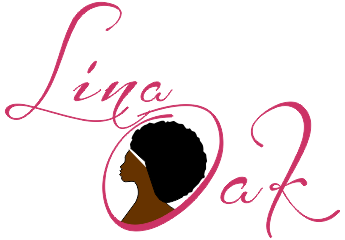 Thumbs up @linaoak … your no.1 fan since the day I was born into this beautiful world where you are my rare gem sis ! Thanks Kira! And I think the same of you too!